Attorney serving Georgia Residents in Divorce & Family Law, Personal Injury, Car Wrecks & Wrongful Death Litigation since 1984. 2. PROTECT THE SCENE. You can prevent further accidents by setting up flares, or keeping your flashers on. If it is dark and your lights don’t work, you should have a flashlight to keep you safe while you wait in your disabled car or by the side of the road. 3. CALL THE POLICE. Even if there are no serious injuries, call the police. You may need a police report to file a claim with your insurance company, even if it is just to make a claim for damage to your vehicle. 4. MAKE AN ACCURATE RECORD. When the police arrive, make sure you tell the investigating officer exactly what happened to the best of your ability. If you do not know certain facts, tell that to the officer. Do not speculate, guess or misstate any of the facts. If you are asked if you are injured and you are not sure, say you are not sure, rather than no. Often, the pain and injuries from motor vehicle accidents become apparent hours after the actual collision. You should also make sure statements made by other persons involved in the accident are accurate as well. 5. TAKE PICTURES. If you happen to have a camera in your vehicle, or a cell phone equipped with a camera, you should take pictures of the vehicles if there is visible damage. If you have visible injuries, you should photograph them as well. However, you should in no way interfere with the on-going police investigation. If you cannot take pictures at the scene of the accident, take them as soon as possible after the accident. If possible, take pictures of the scene prior to removing your car from the roadway. 6. EXCHANGE INFORMATION. Typically, the investigating police officer obtains this information. However, if the police do not respond to the accident, you should obtain the name, address, and telephone number of all persons involved in the accident, both drivers and passengers alike. You should also obtain information about insurance by asking to see the insurance card for all vehicles involved in the accident. If there are witnesses, you should get information from them as well so that you or your attorney can contact them in the future. If police respond to the accident, the investigating officer will provide all drivers with a police report number so that you may later obtain the police report. 7. REPORT THE ACCIDENT. Notify your insurance company as soon as possible. Many auto policies require immediate reporting and full cooperation. Find out if you have medical benefits as part of your automobile insurance coverage. You pay extra for that type of coverage – known as “medpay” – so you should use it even if you have separate health insurance coverage. In fact, if you have medpay coverage, you are required to submit your accident-related medical bills to your insurance company. Medpay coverage is primary for accident-related medical bills. Once medpay benefits are exhausted, private health insurance becomes your primary insurer. Medpay benefits are available to all the occupants of the vehicle. 8. SEEK MEDICAL ATTENTION. Often, injuries caused by motor vehicle accidents are not immediately apparent. Many accident victims report feeling the most pain a day or two following an automobile accident. Unless you are absolutely certain you were not injured, you should seek medical attention at your local emergency room or by seeing your family physician. Even in accidents involving minor impact, you can sustain a serious and permanent injury to your spinal cord. If you lost consciousness or were dazed for even a short period of time following the collision, you may have suffered a concussion or closed head injury. This can cause cognitive and behavioral changes if left untreated. 9. KEEP A FILE. Keep all of your accident-related documents and information together. 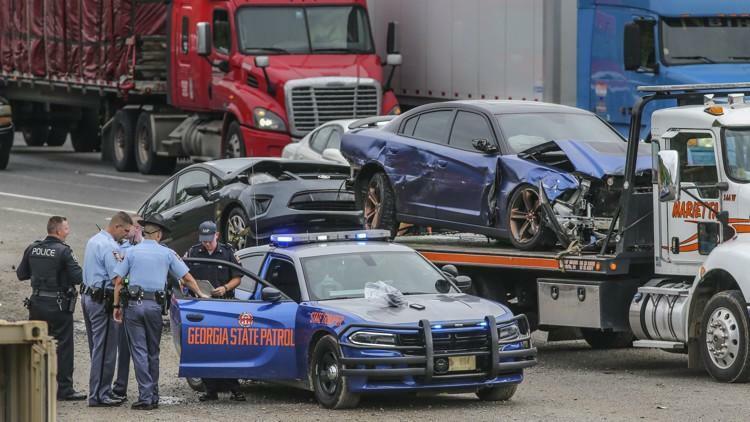 This information should include a claim number, the claim’s adjuster who is handling the claim, names and phone numbers of all contacts, receipts for a rental car and other expenses incurred as a result of the accident. 10. PROTECT YOUR RIGHTS. Perhaps the most important thing you should do after an accident is to consult your attorney. Your lawyer can protect your rights and make sure valuable evidence is not destroyed. Often, insurance companies want to take statements immediately after an accident. Even worse, the insurance company will be searching your online presence immediately upon their learning your name. It is important that you have received legal advice before willingly [or unintentionally] providing your personal information to an insurance company. We can advise you on issues ranging from how to make sure you are fully compensated for your vehicle, how to make sure you are getting the best medical treatment available, and how to maximize your recovery for any damages you may have sustained. ← 9th Circuit Upholds Gun Rights!